Nature can take hold in precarious places. 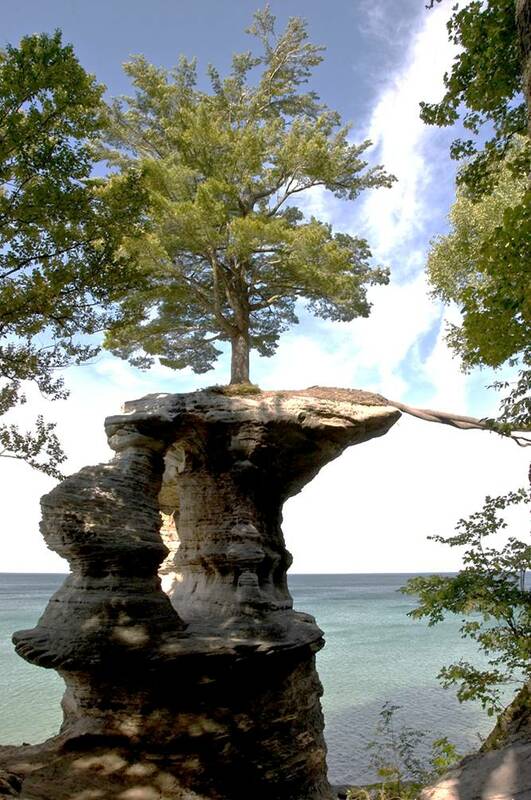 Chapel Rock on Lake Michigan has a single tree perched atop its column. By rights the tree should not be there: the small surface area of land on the top of the rock is insufficient to sustain a tree of this size.